Most of us who are familiar with Eastern religions would associate the word Deva with supernatural beings of light and therefore as 'gods' while the term Asura would be associated with beings of darkness and therefore 'demons'. Apparently this was not always so. ...The first of the good lands and countries which I, Ahura Mazda created, was the Airyana Vaego, by the good river Daitya. Thereupon came Angra Mainyu, who is all death, and he counter-created by his withcraft the serpent in the river and winter, a work of the Daevas. The Devas are evil? And that was not all, according to the Avesta, the Asuras are the beings of light while the Devas are the beings of darkness. It seemed impossible that two ancient religion had exactly opposite views on something so fundamental as gods and demons! The churning of the ocean, Samudra Mantan. 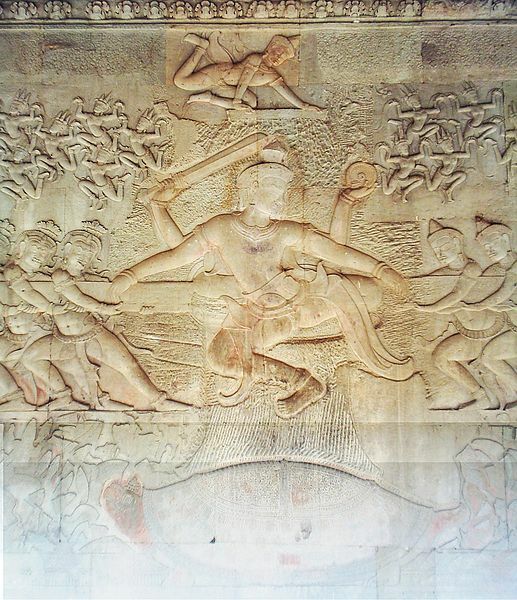 Bas-relief sculpture from Ankgkor Wat, Cambodia. Further research showed that both the Avesta (ancient Persia) and the Vedas (ancient India) came from the same Indo-Iranian and an even older Indo-European source. According to a commentary on the Avesta in Sacred-texts.com, Asura meant 'the Lord' and Daeva meant 'the Shining One'. So in the begining, both Asura and Daeva were supernatural beings of light. Apparently, the two religions evolved along separate paths - in the religion of the Avesta, the Daevas were demonised. Among the Hindus, the Devas were the gods and the Asuras became the demons. (Ahura Mazda is also spelt as Asura Mazda and means 'the Lord of High Knowledge'. But the Rig Veda holds both Devas and Asuras as august beings of light. (The Rig Veda is a collection of ancient vedic Sanscript hymns. It is the oldest of four sacred text of Hinduism known collectively as the Vedas and is thought to be composed between 1700 - 1100 BC). In the Rig Veda , the Devas were gods of nature (elemental beings) while the Asuras were gods of social/moral values. Among the original Devas were Indra - god of thunder and lightning, Soma - the sacred potion and the plant, Agni - god of fire, Ushas - the dawns etc. Among the Asuras were Mithra - god of the oath/covenant/contract, Varuna - god of law, Aryaman - god of marriage etc In fact, the original Asuras were also known as the Adityas; seven celestial dieties who were the sons of Adithi. Headed by Varuna and Mitra, they were described as 'bright and pure as streams of water..." Among the Hindus, the Adityas would later be regarded as Devas as well. 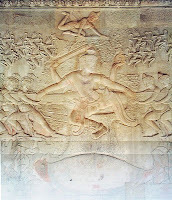 Varuna, attended by the Nagas, became god of the sky and ruler of the celestial ocean (the Milky Way). In ancient times, there was no air and light pollution and the Milky Way in the clear night sky would have been an awesome spectacle! the king of the nagas. The turtle is Kurma, an incarnation of Vishnu. In one of the ancient myths, the Devas and Asuras agreed to work together to obtain Amrita, the divine nectar of immortality from the ocean. Using Mount Mandhara/Mount Meru as a churner, the king of the nagas, Vasuki agreed to be the living rope they would use to churn the ocean. 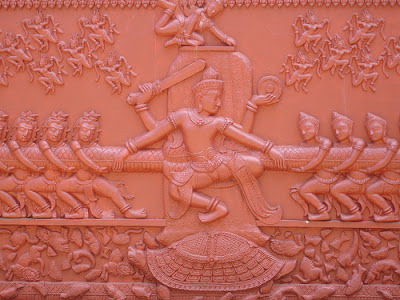 The Devas, who pulled the tail end of Vasuki had an easier time compared to the Asuras who pulled the head end. The long-suffering Vasuki belched out fire and smoke, which singed the Asuras (Vasuki belching fire and smoke indicates that nagas are in fact dragons). The mountain itself was supported on the back of a gaint turtle, Kurma, who was an incarnation of Vishnu himself. The milky ocean threw up fourteen divine treasures, including Lakshmi- goddess of wealth and fortune (she became the consort of Vishnu), Chandra - the moon, Parijata - the flowering tree and last of all, Amrita the nectar of immortality. Fortunately (or unfortunately, depending on how you look at it), the Devas ultimately obtained Amrita while the Asuras were denied this prize. the head end (right) of Vasuki. In later Hindu texts, the rivalry between the Devas and the Asuras broke into all-out war. They battled for dominion over the three worlds: Svarga, Bhumi and Patala or Heaven, Earth and the Netherworld. Patala is not actually 'hell', in fact it is the watery domain of the nagas (who were also Asuras). In this epic war, the Devas created Devi (who in turn created Kali as mentioned in a previous post - 'The Pontianak, the Vampire...) in order to defeat the mighty Asuras. So who won this War of the Worlds? Initially, it was the Gods of Civilisation, the Asuras. For over a millenium, the Avesta was the supreme religion in the world. The preisthood of the Avesta, known as the Magi (the Three Wise Men from the East of the Nativity), were known and respected throughout the ancient world while Hinduism evolved in relative isolation. However, an examination of popular culture and numerous entries on Wikipedia would indicate that the Gods of Nature, the Devas are the winners of this cosmic struggle at the present moment. Anand Neelakantan takes a more sympathetic look at the Asura in his book, Asura: Tale of the Vanquished. This is a retelling of the Ramayana, from the point of view of the Asura antoganist, Ravana. For those unfamiliar with the original Hindu epic, the Ramayana is the story of Rama, prince of Ayodhya, who is exiled into the wilderness with his beautiful wife Sita and his faithful brother, Lakhsmana. 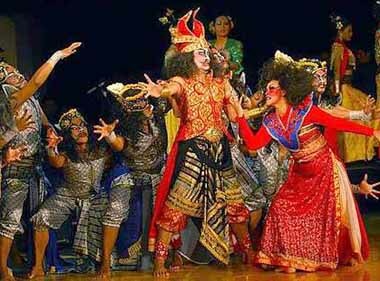 While Rama is out hunting with his brother one day, Sita is abducted by Ravana, the ruler of Lanka (Sri Lanka). Rama and Lakhsmana set out to rescue Sita, with the help of Hanuman, the monkey god. 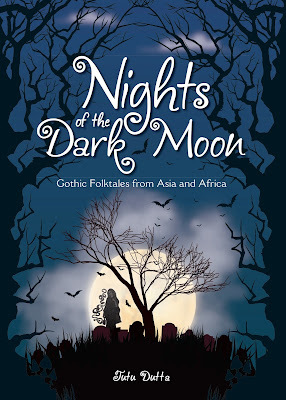 Neelakantan tells the story from the point to view of the people of Lanka. However as my interest is in plants, the question arises, what is Soma - the sacred potion and the plant? Soma was a ritual drink of great importance in Vedic culture and was frequently mentioned in the Rig Veda. Soma was not only offered to the Devas in ritual sacrifice but also consumed by the priests themselves. It is known as Haoma among the Persians and was also used in rituals in the Avestan/ Zoroastrian tradition. 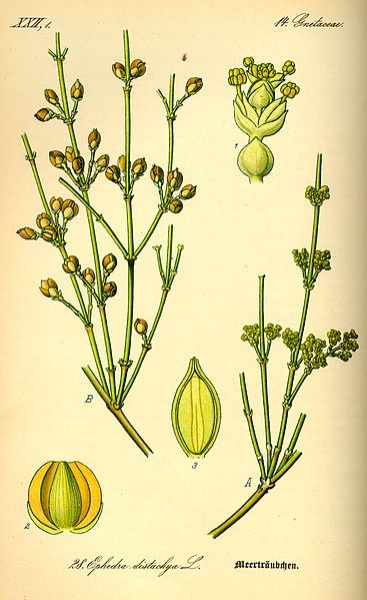 The plant was described as having long stalks and as being yellow in colour. The juice of the plant was extracted by pounding the stalks with stone mortar and pistil and straining the juice with a cloth. Unfortunately the exact identity of the plant, Soma is derived from, is lost in the mist of time! How can this happen to this most important sacrificial offering in Vedic rituals? In fact, Hindu priests offer prayers apologising to the gods for their inability to offer Soma in their rituals now. In South India, Somalatha, a substitute derived from the plant Sarcostemma acidum, is offered as a substitute during Somayajna. Some experts think that Soma could have been made from hallucigenic mushrooms/ or even cannabis/marijuana type of plants. However, the physical description of the Soma plant does not match mushrooms or cannabis. Hallucinogens are also unlikely as a priest needs to concentrate during ritauls - a mistake in the recitation of vedic hymns to invoke the gods would result in failure. 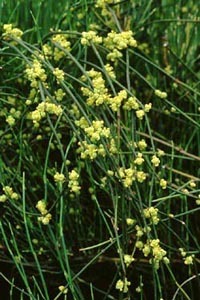 Recent opinion seem to favour a species of Ephedra, most probably Ephedra sinica, mainly because the Zoroastrians still use this plant. 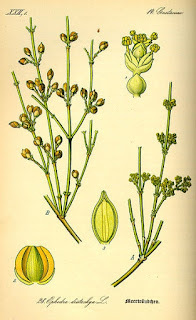 Ephedra sinica, known as Ma Huang in Chinese, has been used in traditional Chinses medicine for centuries. Ma Huang is a decongestion i.e. it improves breathing and elevates symptoms of asthma and bronchitis (very useful for Hindu priests since smoke inhalation is an occupational hazard); it also improves concentration, increases blood pressure and reduces hunger and fatigue. Exactly what a priest needs during long exhausting rituals which involves the recitation of hundreds of hymns! This is a really interesting post. I will now be off to find more info about this. Thank you for your info, you have captured my interest and set it off on adventure..